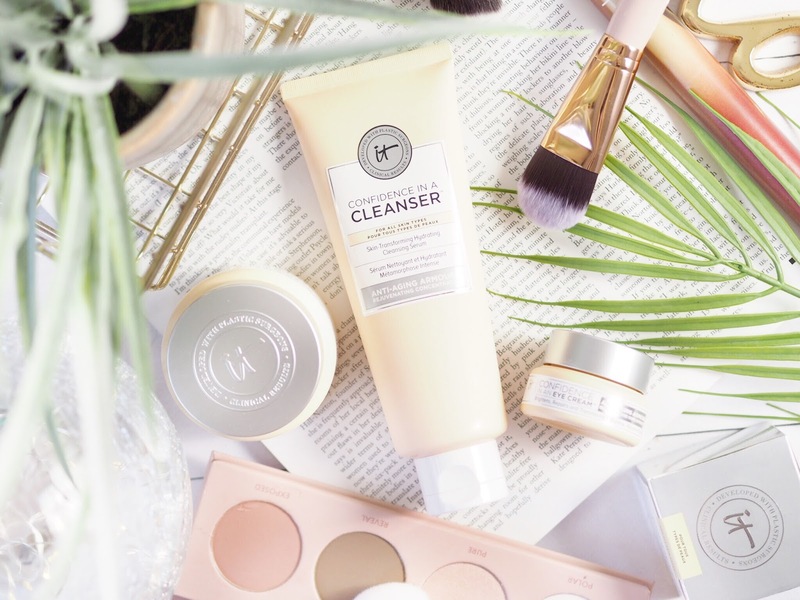 When it comes to skincare I will try lots of great products but always rely on a trusty skincare routine for my daily usage. 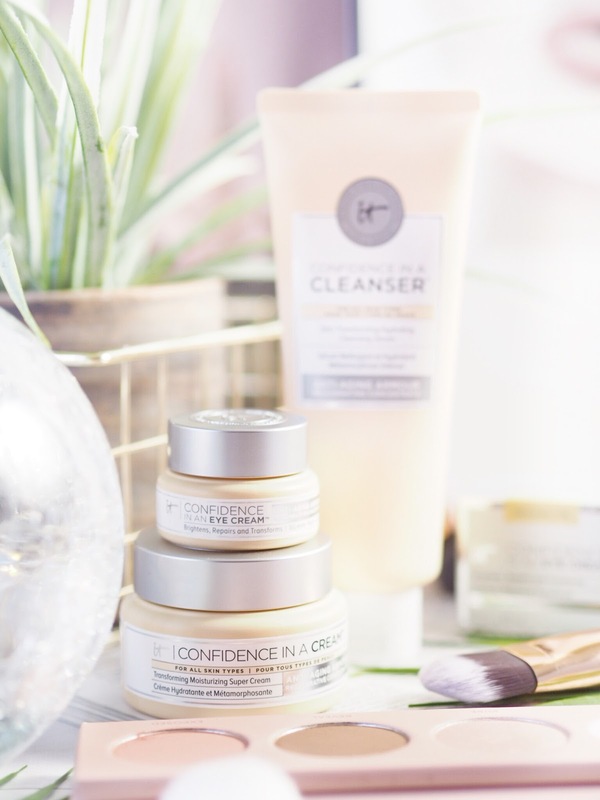 There’s a certain type of product that I use – make up removing, cleansing, toning, moisturising etc And while I will toy with serums, treatments, oils and masks, I will never stray far from three-four products for everyday skin care. I’ve used the same three products morning and night for over a year (inbetween additions for all the wonderful products I get to try) but I recently started trying three skincare products from IT Cosmetics and I just haven’t stopped. Suddenly long after my usual time allocation for trying a product for a review, I realised I was still using them and hadn’t touched my usual gems. 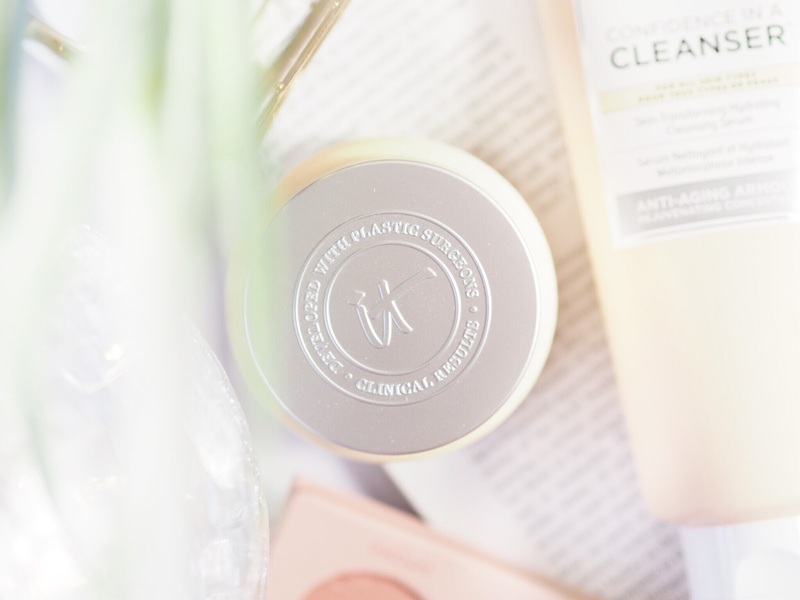 I realised, these three new skincare goodies had replaced my Holy Grails – which takes a lot. And what’s more, it hadn’t even been a choice, I’d just started using them – and not stopped. The first step for me with daily skincare is cleaning my face. In the evenings especially this is a long and focused task because I need to remove all traces of make up as well as pollution, daily build up etc. I’ve tried many make up removers but this works as a cleanser and make up remover in one. The gentle formula means it can remove all the daily nasties on the skin, as well as eye make up too – which is the sign of a high performance product. I pour a small amount into my hand and massage in circular motions for 30 seconds to a minute, then rinse off with warm water. This removes all traces of make up as well as anything else. It’s got a really nice lemon element to the scent, so not only does my skin feel soft and clean, it smells it too! I don’t find this remotely harsh and can imagine that even the most sensitive skin would find this a lovely daily cleanser. 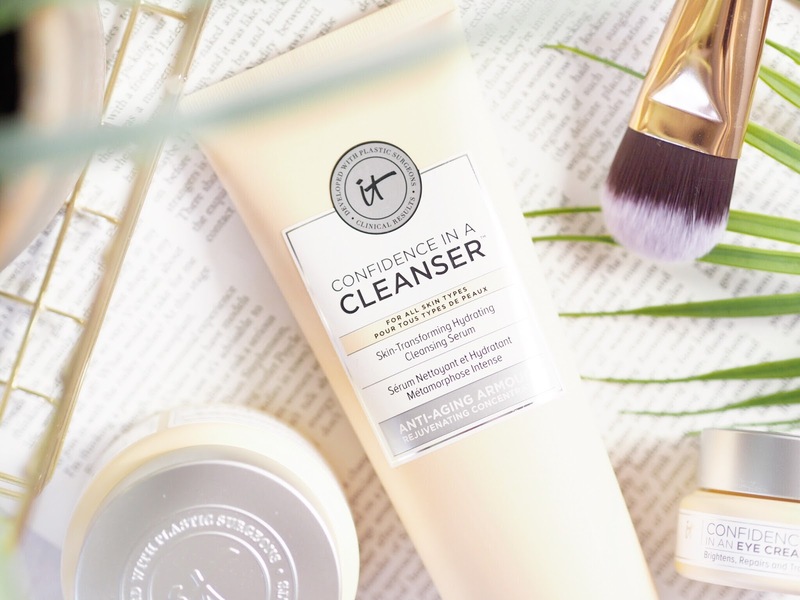 Following my twice daily wash with the cleanser, I use the Confidence In A Cream moisturiser – which is the one product that drew my attention to the whole collection. It has amazing reviews in America – don’t believe me, check them out. If a product could generate so many wonderful and positive opinions then I was keen to try it – and it hasn’t disappointed at all. Created with Plastic Surgeons (hello excitement!) 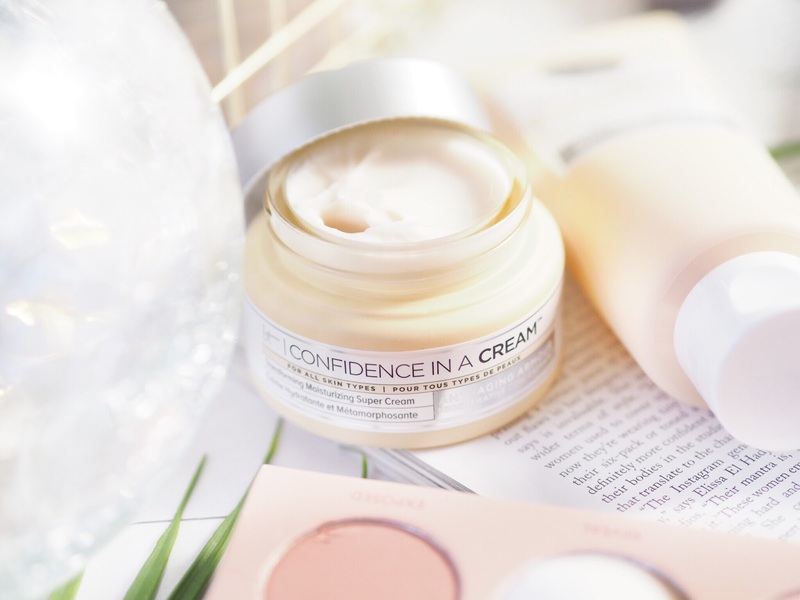 this cream is designed to be a wonder product – and it is. I’ve recommended this to so many people since I started using it. It’s the perfect daily moisturiser. Enriched with everything you need to give your skin a soft and supple look and feel. Not only that but the contained hyaluronic acid plumps all the fine lines and wrinkles you may have, to create an overall full looking appearance that plumps out everything you may dislike seeing. I find that this works to create a lovely texture to my face, and when it dries it’s silky smooth and a great base for make up – so I rarely need to use a primer. I’d previously found that plumping moisturisers could be quite drying, however this one is moisture rich and very hydrating to the skin. 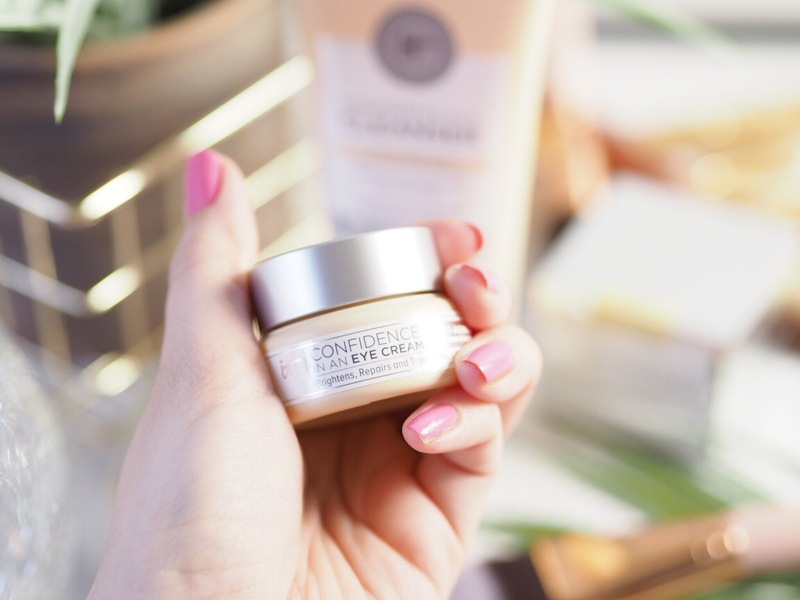 My face feels smooth and healthy while also less tired and aged looking…I can totally see why it’s a miracle in a pot, or rather Confidence In a Cream! The only area of my face that I use different skincare for, is my under eye area. Especially now I’ve hit 3-0 and it’s like all of a sudden the wrinkles arrived one day and freaked me out! 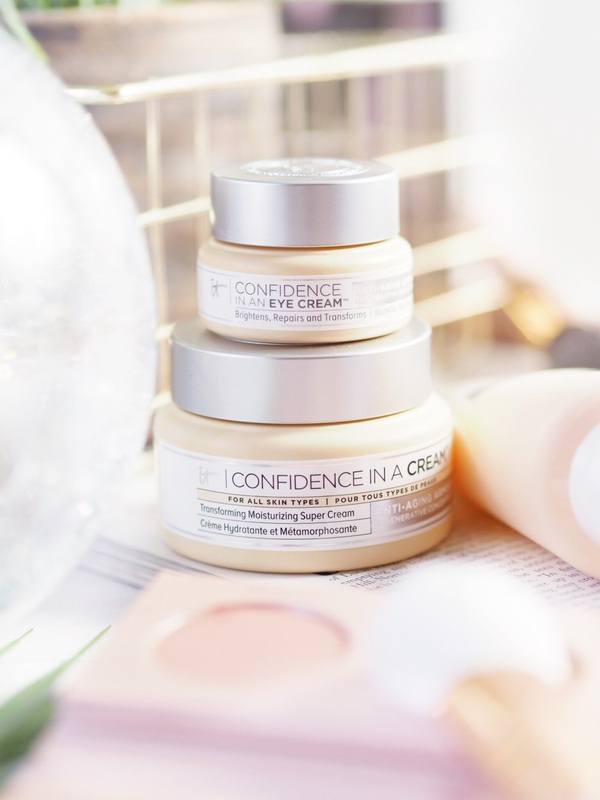 Since then I’ve never been more interested in under eye treatments and creams and I love the IT Cosmetics Confidence in An Eye Cream because it offers all the key elements of the moisturiser, but in a more targeted and derived way to benefit that softer and more sensitive area. I notice a cooling sensation when I apply this, and need very little to feel the usually dry under eye area is soft and hydrated. It feels like I’ve just given it a dose of water! The cream sinks in and helps me feel a little less aware of those fine lines, by plumping them out and my under eye feels a lot less tight as a result. I can say with certainty that my under eye area feels a whole lot better after I’ve used this. Just a tiny dab under the eye and voila. 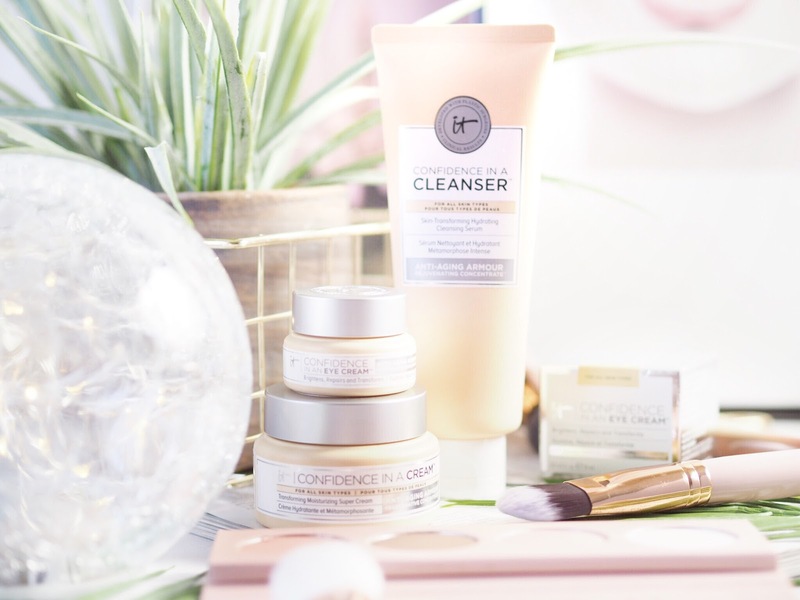 So between these three products I’ve found a wonder trio that’s completely changed the skincare game for me and also made my love affair with IT Cosmetics deepen…sadly now my wish list for their products is MUCH greater! Previous Post Testing & Swatching The ENTIRE YSL Volupte Liquid Colour Balm Collection!